Anger arrives with a scorching heat like the summer sun. Indeed, anger is a fire energy. But not all anger is alike. 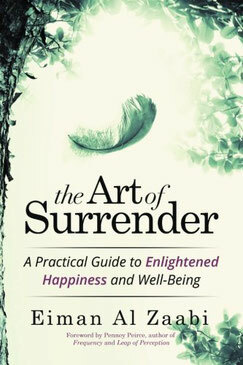 Often, we become angry when we feel powerless and wish to regain a sense of control. But there is a second face of anger: the outrage we feel when a deeply held value has been violated. The two kinds of anger require different responses, so it’s important to consider which kind we are experiencing before we react. The first type of anger is motivated by fear. We feel vulnerable in a given situation, and we lash out in an attempt to gain control. It’s all about assuming power when internally we feel powerless. This type of anger is a defense that we wield reflexively. If we don’t cool the flames, their unforgiving heat can burn us and those around us. The second type of anger is motivated by awareness of injustice. We see harm being done, and we wish to right the wrong. This kind of anger alerts us that something important to us is being threatened. Its brilliance illuminates the truth and burns away what is harmful. It is constructive in that it pushes us to reconnect with our mission in life, communicate our position, and take action. It fires us up – in a good way! It takes careful discernment to distinguish between the two types of anger. The anger of powerlessness calls upon us to be honest and vulnerable. And truly righteous anger doesn’t arise from our own sense of defensiveness, nor from our judgment of others. It requires balanced perception of the situation, clarity about our own values, and purposeful action. First, change your position. If you’re sitting, stand up; if you’re standing, sit down. Or move to another room. Splash water on your face. Because anger is a fire energy, you can literally use water to calm yourself down. Once you’re feeling more settled, acknowledge that you became angry. Then reflect on the source of your anger. Where did it come from? Did it arise from a sense of powerlessness, or from a violation of your values? Is there something you need to do or say? How will you do that? Depending on the source of your anger, you may realize that you need to take action to stand up for yourself or for someone else. Or you may come to see that the situation would be better handled by reaching out to another person, apologizing, and acknowledging your vulnerability. Whatever type of anger you’re feeling, remember that you don’t have to respond on your own. Divine support is always available to you! Through the practice of prayer, you may call out for help and guidance while wholeheartedly surrendering your actions and listening in. In this way, the Divine shapes your life with wisdom and grace. Fire can be destructive, or it can be a force of creation. The same is true of anger. When we learn to distinguish between defensive anger and righteous anger, we can respond accordingly. 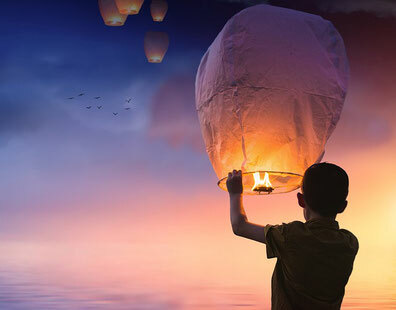 By understanding the character of our anger, acting in alignment with our values, and continually maintaining our connection to the Divine, we can experience the full range of our full humanity. Action item: The next time you become angry, take steps to calm yourself down. Then reflect on which type of anger you felt and what kind of action is called for in response. How does your experience change when you approach anger this way? Share your thoughts in the comments below. Would you like to join our community? 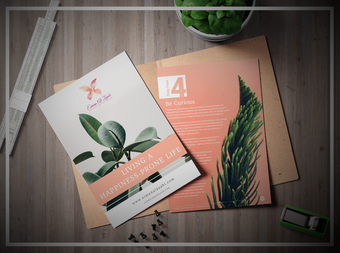 Sign up today to get your free copy of Living a Happiness-Prone Life e-book, a valuable resources that teaches you what it takes to be truly happy in life. Use the form on the right sidebar to enter your name and email address. By signing up you agree to receive emails from Eiman Al Zaabi, including marketing materials of products and services. Is True Happiness Your Goal?